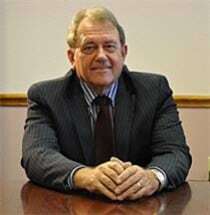 Jim is licensed in and for the State of Florida and has practiced in Pinellas County since 1980. In addition to all Florida State courts, he is admitted to practice in all Federal Districts of Florida and in the Federal 11th Circuit Court of Appeals. He has been certified by the Florida Bar Board as a Real Estate Specialist since 1991, is a Florida licensed real estate broker and is Martindale Hubble AV rated by his peers. Jim is the founder of the firm, and has an extensive background in real estate and related transactional and litigation work. He has handled large commercial real estate loan transactions and loan workouts, representing both lenders and borrowers. He focuses on complex commercial and consumer litigation and class actions. He serves resorts and associations throughout the State as a timeshare non-judicial foreclosure trustee. He is fluent in German and is a member of the German-American Lawyers Association (DAJV). Jim is the former president of the Pinellas County Deaf Services Center and the Hearing Connection of Tampa Bay. He also serves on the board of directors of the Tampa Bay Symphony, Inc. He has lived in Pinellas County with his wife, Eva, for the past 35 years and is happy to be able to spend time with his children and grandchildren, all of whom live close by. He is a graduate of Davenport, Iowa West High. He attended Macalester College in St. Paul, Minnesota, where he, along with the rest of his swimming team, has been inducted into the Macalester Athletic Hall of Fame. He has a BFA degree from New York University's School of the Arts (Washington Square Campus) and a Juris Doctor from Stetson Law School in Pinellas County. Board of Directors of the Tampa Bay Symphony, Inc.